What is today? It’s not Thanksgiving anymore.. it’s Grey Thursday! 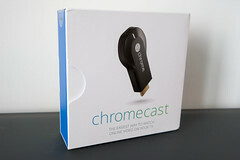 Black Friday is tomorrow and here’s some deals..
As I start my on-line trek for the best deals, I just found my first one..
Google ChromeCast at Amazon for 29.98. You really can’t go wrong with this plug in to get your fix. 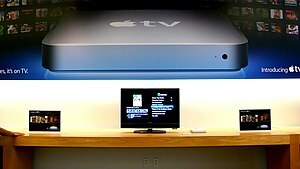 Next on my list is Apple TV. Best deal I’ve seen thus far is for $84.95 again at Amazon. My goal this year is to not do any bricks and mortar shopping and to do all my Black Friday splurging on-line. Gizmodo is a good site that I’ve used to find deals. Leave the sites you think are great for Grey Thursday (Today), Black Friday (Tomorrow) and Cyber Monday! I’m going to compile a list! Having fun and doing charity work gives new meaning to the word enjoyment and giving back! Try it! It’g been a pretty crazy few weeks. Every time I decide I need to write a post, something comes up to distract me. Life continues to keep me in the fast lane, that even a seat belt wouldn’t have slowed me down. With doing double duty at work and spending time with the kids at home, I’ve wanted to put on the brakes to stop, but have not been able to do so! So here is a summary of where I’ve been over the past few weeks. Pictures to follow! Over the past few weeks, I’ve attended multiple marrow drives for a friend nephew and went to NYC this weekend for St. Patrick’s day Parade and festivities. My first parade in NYC! Gotta admit this was truly the highlight of this year for me. We must have walked over 5 miles in NYC! You know when you are getting old when a 5 mile walk stays with you for days. Oops, forgot the few hours of tennis.. I could remember the ancient days when I could do this and be ready to go at it the next day.. oh well such is life..
Have you ever been to Georgetown Cupcakes and Chelsea Piers! Gotta admit, eating cupcakes and hitting Golf balls was never this fun! Walking in NYC and seeing the throngs of people is just uplifting and shows what life is and how fast it moves.. Just look around if you are in NYC! We of course went to the happiest place on Earth (of course it’s the Apple store anywhere, but this one is in historic Grand Central Station! ), is such a treat! Of course this place is not so happy when your iPhone gets smashed and you have to shell out money to replace it the next day.. that’s what happened to my daughter.. oh well, such is life.. I have to admit that the Marrow drives were the most rewarding! It’s the first time I felt that I gave back to the community and am now thinking of other ways I can do more of this. If you ever want to save a life, this is one great way to do it. If you are between the age of 21 – 61 this is an excellent opportunity! Spring starts on Tuesday Morning at 1:41 AM… Ready for it? Apple Stores in China – Not! Apple store is China, is it memorex or is it the Original? I gotta say reading about the multiple fake Apple stores in China was absolutely a riot! Even the employees didn’t know they didn’t know they were working for Apple. A few have closed but I’m sure there are a few that are still in business! “Do you have a web camera for my Macbook?,” asked one customer. “No, but our other store in Lujiazui should have it,” said the sales representative, referring to Apple’s genuine retail store in the heart of Shanghai’s financial district. When approached, none of the staff claimed to work for Apple or that the store was an actual Apple Store. Customers appeared unfazed. “I prefer to get my Apple products fixed here. It’s very troublesome going to the real Apple store in Lujiazui because not only do you have to pay to get repairs, but you have to make an appointment to see the sales specialist,” said Xavier, a 30-something expatriate who declined to give his last name. “The prices are the same as the real store but the service is better here,” he added, before whipping out his two iPads to tinker with. Author Dads TaxiPosted on July 27, 2011 Categories bloggersTags Apple, Apple Store, China, iPad, postaday2011, postaweek2011, Steve Jobs, Yahoo News5 Comments on Apple Stores in China – Not! 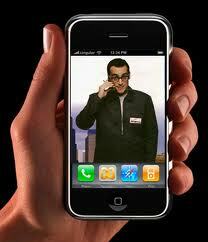 Impacts of the iPhone going to Verizon in 2011! Will we be seeing this in the near future? Over the past few days, I’ve read multiple articles about the iPhone going to Verizon at the beginning of 2011. As I happen to work for the company that has the exclusive rights to this phone, I have some questions that will make you say.. Hm..
What will be the overall impact of Verizon selling the iPhone to the mobility sales impact at T? will there be a small exodus of customers or will it be a gusher? Will Verizon’s LTE network be able to handle the immediate increase in data volume? In my opinion, people that are with AT&T will stay with AT&T and the Verizon customers that are thinking of moving to AT&T will NOT move over, but get the iPhone at Verizon. What about the numbers? How many will stay? How many will move from AT&T back to Verizon? AT&T predicts a 2% to 3% churn. In my opinion, this number is too conservative. I would go with anywhere up to 10%. Going from Verizon to AT&T the numbers will be much much larger. 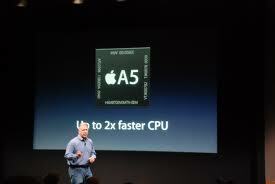 Over 30% of the VZ customers will clamor for the bandwidth hog of the iPhone when it is offered. 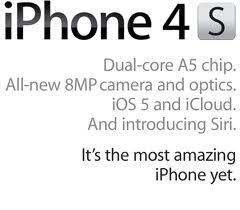 Another question that is on my mind.. Will the CDMA or LTE iPhone how different will it be from the current iPhone 4? If you can’t beat em, join em.. We are now one big Mac Family! I found this new site (for me) for the iPhone. Today’s iPhone has excellent application reviews, tips and videos. BTW, it’s official, my family is now officially a Mac Family.. Apple related products outnumber any PC based laptop and desktops in my techno savvy home. I find that at least once or twice a week I’m at the Appleinsider site. Even my wife who is/was a techno-phobe, is giddy with her Mac Pro. Now that my older daughter has her new Mac Pro, I’m the one that’s left back being a PC! Scary part of all this is that I’m envious of the girls with their Mac Pro’s that I know that sooner or later, I will be making the same leap and dumping my Dell and becoming an all Mac family. I guess, I’ll be making more frequent trips to the “happiest place in the world” (The Apple Store) . I guess, if you can’t beat them… better to join them!